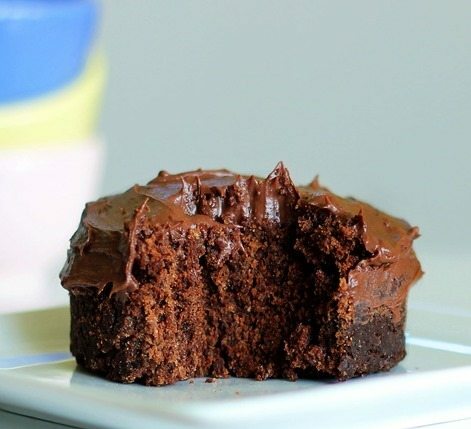 This easy chocolate avocado frosting recipe will surprise pretty much everyone. It has a smooth and silky texture from the heart-healthy avocado, without using any butter or shortening! Or, you know, just eat it straight from the blender with a spoon! It is also excellent for frosting cakes or cupcakes, spreading on sliced bananas, or using as a dip for strawberries. You really can’t go wrong! It is naturally gluten-free; and because there is no butter, the frosting is suitable for vegans as well. Because it’s free of processed ingredients, trans fats, and preservatives, it’s best to make up a batch of this avocado frosting right before you plan to use it. Leftovers can be refrigerated for a few days and will still taste delicious, but the color and texture of this frosting are best the day it’s made. Be sure to use soft, ripe avocados. 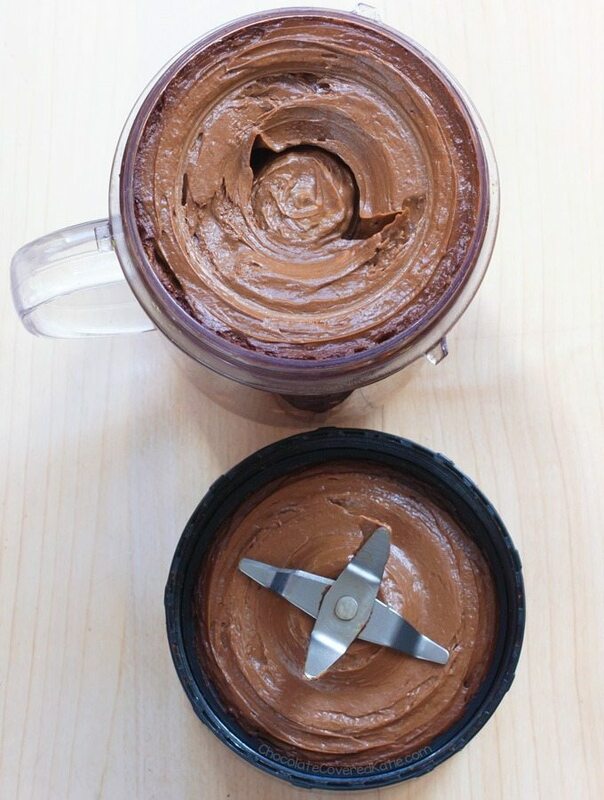 Combine all ingredients in a food processor or blender until completely smooth. You can add a little oil–such as melted coconut oil–for an even richer taste or if your blender has any trouble getting the frosting smooth (which can happen if using a smaller or low-power blender). Because of the lack of preservatives, it’s best to make up a batch of this avocado frosting right before you plan to use it. Leftovers can be stored in the fridge for a few days and will still taste delicious, but color and texture are best immediately after blending. 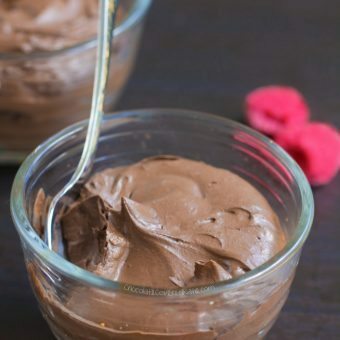 I’ve made avo chocolate mousse, but never frosting. such a clever idea, Katie! Just had an idea: dollop some of this glorious frosting on top of a bowl of that glorious nice cream! I didn’t even use a blender..
Ihad half of 1 avocado left.. Smooth as silk…added some raisins, dates and mini pretzels for dipping..
YUM! 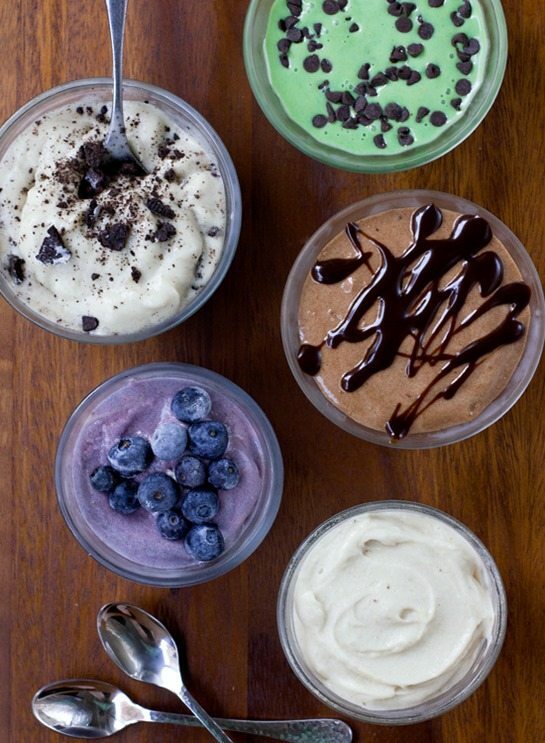 I would definitely just take a spoon to this and go to town. Thanks for sharing! I love avocado in frosting!! What a great recipe! I personally hate chocolate frosting (no one knows how to make it right!). This frosting though, I wouldn’t use as frosting if you are really good at spotting hidden flavors or else this will use taste like eating an avocado, but I’m not like that. This works okay as a frosting, but better as a snack for me!. It was basically a mousse. Really yummy and thank you! This looks amazing – I have never tried avocado frosting! March 17th, 2017 – My life changed. Can you really not taste the avocado? This is the easiest way to prepare vegan frosting! 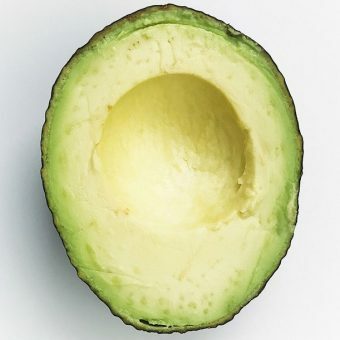 I can’t count how many avocados I buy each week….between adding them to salads, making frosting or raw puddings…they taste great in everything! They’re an essential item for a raw or clean diet. The on thing I would swap in this recipe is vanilla bean powder for the extract. Have you ever tasted it before? The flavour is AH-MAZING! I tried this recipe and I am so overwhelmed. It is delicious and best chocolate avocado I have cooked. Much thanks for sharing this recipe. Can I make this to frost a birthday cake? The cake won’t be eaten up in one day…would you not recommend using this then? I’d prefer to use this over a typical frosting with margarine. Hmmm I’ve honestly never kept it around on a cake long enough to find out. I think it would be okay but might turn a not-so-pretty color. Maybe do a test run with frosting a muffin or something one day? Maybe add a little lemon to stop the color change? 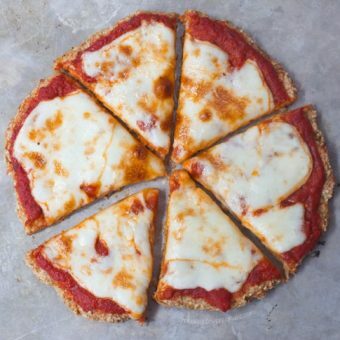 Would this be a good stand-alone recipe? 😉 I’d say so, LOL! People should really consider making avocado spreads on the market! This looks stunning! Can you “fix” the print link so it just prints the recipe. Foe some reason I get a 10 page print. Maybe my computer is set up wrong. Thanks! Hi, we are so sorry about that! It should not be doing that and we put in a ticket with our web designer to fix it again. Thank you so much for pointing it out. Dear you, thanks for this fantastic recipe! I have a question: as for frostings, what is the best, most scrumptious frosting recipe? 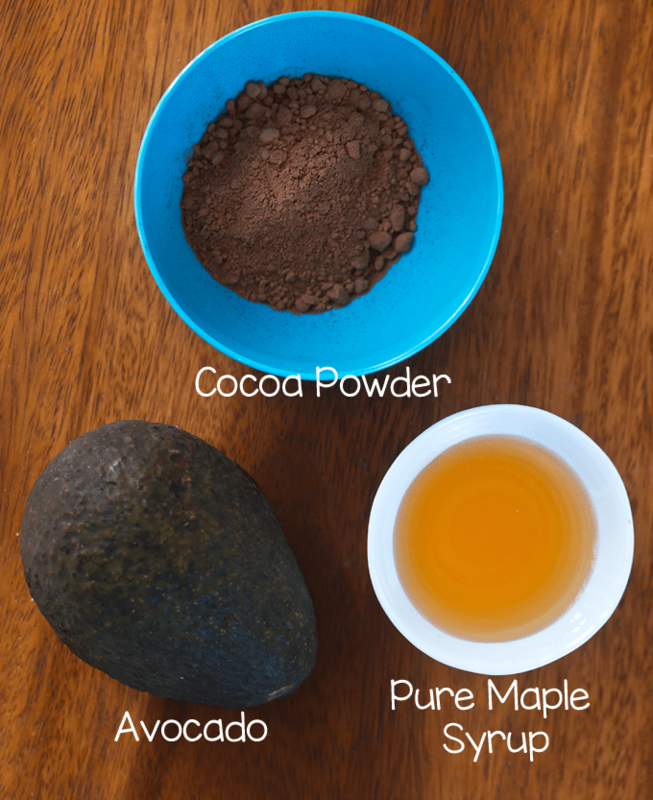 Those with avocado and cacao or with coconut cream and cacao? What is your preference as for taste? Thank you! Can you use dark chocolate cocoa powder for a dark chocolate looking frosting?